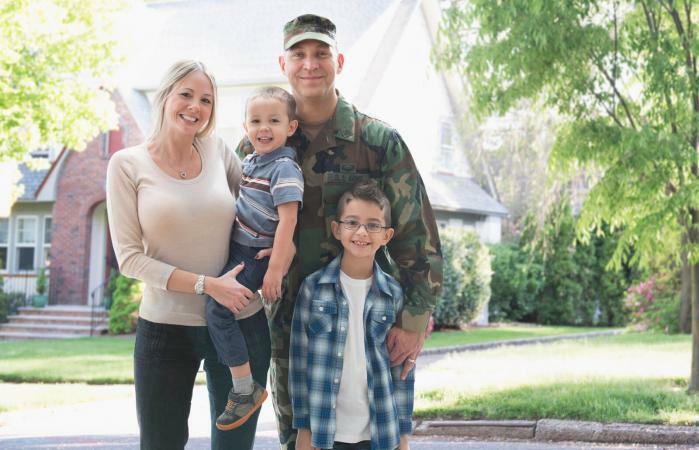 Becoming a military family can be hard on the member of the military and his or her spouse and children. There are several advantages and disadvantages that come with having a military family. Before enlisting, it is important to understand both. When you think of joining the military with a family, being away from them is typically one of the first things that comes to mind. However, Hailee Strong, a mother, 9.5-year military sergeant veteran, and facilitator of a veterans support group, stated there are some very strong benefits of joining the military if you have a family. Health insurance as well as other different types of insurance are available for low cost for individuals and families in the military. In a world where insurance premiums are getting higher and higher, this can be a big incentive for a larger family. The military also offers affordable life insurance for members who enroll, according to Military.com. Those who are in the reserves can also receive full or partial insurance coverage if they are active. In addition to the military providing housing if you live on base, it will also provide subsidiaries if you live off base. This can help to make the cost of living cheaper. Additionally, Strong stated subsidies are offered for groceries off base, and the necessities, such as food and gas, are cheaper on base. This can help families to save money and make living more affordable for a larger family. The military offers tuition assistance and other educational programs for not only active members and veterans but members of their families as well. Many of these programs will pay not only the cost of enrollment but other fees. For instance, the Post 9/11 GI Bill Transferability allows military members to share their GI Bill benefits with immediate family members. Do you want your family to be able to see the world? Joining the military can help you with this. Depending on where you are stationed, your family may be able to experience different areas of the globe. This can offer a world experience and view to your children and spouse that would be hard to get otherwise. Having a spouse or children when you join the military can have some benefits, but it's not all fun and games. Strong notes some distinct cons to military life with a family. As you would expect, deployment is hard on a family. One or both parents are separated from their children for a distinct period. However, coming home from deployment is also hard on the family. Reintegrating into family life and that closeness you shared before deployment takes time. It can also cause anxiety between spouses and children as the parent reintegrates back into family life. Duty stations change in the military. According to Strong, this can happen every two to four years. That means children and spouses often need to move. This can make stability and consistency hard. For example, constant moves make it hard to have consistent friends for children and spouses. Multiple schools and classrooms can be hard for teachers, districts, and parents to build rapport with one another. Your work week while at home will not be typical. Strong states, "There are varying hours all the time." Therefore, it can be difficult to schedule family time since you must contend with your children's and spouse's schedules as well. Not having a consistent or set schedule can also lead to a breakdown in communication among family members. When on deployment, it can be difficult for you and your family to have the support you need. This is especially true if you are in an area that is away from you or your spouse's family or in a different country. This can have not only a negative impact on you, but the stress and worry of your spouse and children have can take a psychological and even physical toll on families. However, the American Psychological Association notes here are ways to combat this through community programs. Going into the military with a family can be a fun and exciting adventure that can take you all over the globe. However, deployments and commitments can cause serious consequences if the right support is not in place. Therefore, it's important to consider all sides when looking at joining the military with a family.